If you want comfort control, you need to choose ceiling service carefully. A bust ceiling can improve your home looks greatly but it can be easily damaged as time passes. 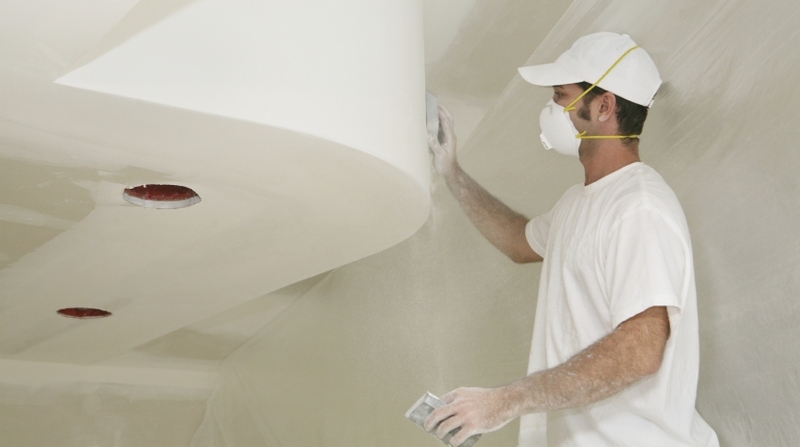 No worries, San Diego Pro Handyman can provide you with the best services of Ceiling installation and repair. Our professional team are experts in this field and they can do anything you want. We are the best in this work as well as in installing the new pendant light, new fan etc. In case you are in trouble with your ceiling, ask us for help and Pro Handyman in San Diego will be at your hand to perform quickly and effectively. Our highly-qualified staff can replace soggy drywall before the damage worsens taking into accout the extent to what your ceiling is damaged. We have well-trained and experienced team who can help you anytime. You can always trust San Diego Pro Handyman, your problem will be sorted out quickly and effectively. San Diego Pro Handyman is the best in installing or repairing a ceiling fan in case you need it. It also concerns replacing the old ceiling fan and then installing the new one you have chosen, Pro Handyman can do everything. Any ceiling fan issues can be easily solved, just call us and we will there for you anytime. Contact Pro Handyman to get our best quality services, which will satisfy you for sure. To hide imperfections that are more obvious on a flat, white ceiling people are choosing popcorn ceiling texture more and more often. San Diego Pro Handyman is always at your hand if you want to add texture to the ceiling or remove it. We will do the work quickly and effectively using all the tools and technologies needed. If you want the best ceiling services, give us a chance. Our professional and highly-qualified team can sort out any problem you may face.